Near the distinctive and beautiful apartment community of Vintage in Pleasanton, CA, there’s always a grand variety of things to do and see. You could, for instance, tour the many historic buildings of the downtown area, marveling at the many periods of architecture represented among the aging edifices. You could grab a fine meal in one of the town’s many exquisite restaurants, or catch a show at one of the many performing venues throughout the region. 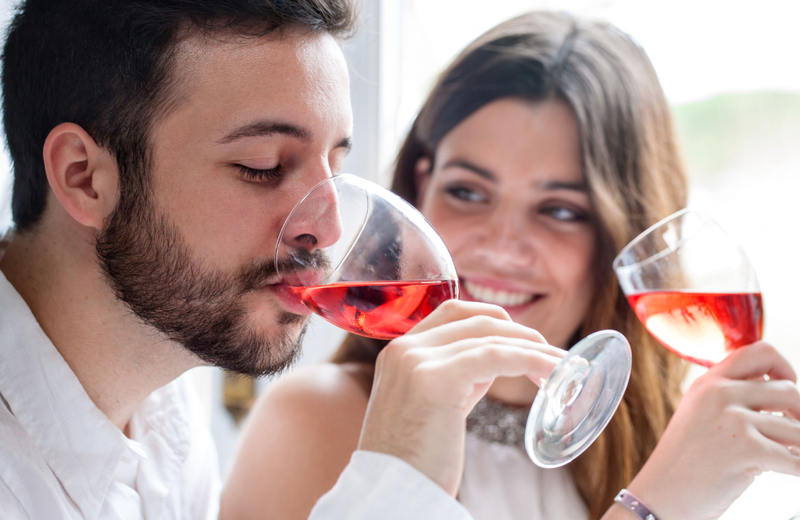 All of those possibilities make for wonderful choices, but, if you’re looking for something a bit more focused to add to your calendar, you’ll definitely want to check out the Downtown Pleasanton Wine Stroll, coming up on May 12th. This will present a unique opportunity to check out some fine wine from area favorites, all the while touring downtown and listening to the sultry sounds of many a talented musician. It’ll make for good fun, so here’ what you’ll need to stay informed of beforehand. And what a night it will be. Those downtown locations will be a part of the Pleasanton Downtown Association, a group of notable businesses in the downtown area who have banded together to keep the area fun, clean, and exciting. As you can imagine, the event will work something like this: you show up with your designated driver and some friends, you then wander from participating shop to participating shop, sampling the wine varieties as you go. When all is said and done, you can continue perusing the stores, or perhaps even head somewhere for a nice meal (there will be small bites during the event, but you’ll probably need something to fill you up more substantially than finger food). There are plenty of places to get some food after you’re done sampling the wine, depending on your tastes, and, as far as notable options go, you can check out The Mercury News’ list of Five Fantastic Pleasanton Restaurants to give you a point of reference on what the quality options in the area hold. Remember, wine goes great with all kinds of food, but there’s a special bond between great wine and phenomenal Italian cuisine you can’t help but try. So it’s not just those three hours of fun tasting the many 1oz sample pours at your favorite downtown locations. You can turn the Wine Stroll into an all-evening extravaganza, if you so choose. Be sure to get your designated driver tickets in advance and don’t forget to take your commemorative wine glass and event map with you once everything is finished. While it’s hard to say in advance exactly which wineries will be represented at the wine stroll, you can get an idea of what you’re in for by taking a look at some the most recognizable wine names from around the Pleasanton area. This family owned and operated winery was established in 1887, and, while it has changed hands and moved locations in several times during its history, it has always maintained a standard for high quality wine. Partners Sharon & Mike Callahan, Jennifer & Mike Lloyd, and Annette & Mike Brown began opened the winery’s new tasting room in 2007, which quickly became a well-known feature for those visiting Tri-Valley wine country. They have a variety that expands across reds, whites, sparkling wines and more. Of particular note is their Cabernet Sauvignon Reserve, a “bold and rich representation of the old Bordeaux classic.” It’s a dark and flavorful blend with hints of chocolate, and, as the winery notes, pairs well with sausage, chicken, steak, and cake. That Italian influence can be seen in more than just the wine. Head to the estate, and you’ll be treated to an Italian-style tasting room, bocce court, deli, and gorgeous outdoor picnic areas steeped in the Italian tradition. They’ve created some of Pleasanton’s most inspired wine varieties, many of which are award-winners in their own right. What’s most incredible, perhaps, is the fact that Rubino has wines that fit nearly every occasion and cover many different tastes. Combined with their meticulous, hand-crafted process for making wine, they’re synonymous with high quality. You’ll likely enjoy what they have to offer should they bring a few bottles to the Wine Stroll. Though the proximity to cool events like the Wine Stroll is certainly a positive, you’ll do well to remember it’s not the only notch Vintage has on its belt. This stellar community has everything you might want from the apartment living experience, from amazingly spacious residences to building amenities that make the stay seem more like upscale hotel than run-of-the-mill rental property. Be sure to check out everything Vintage has to offer and inquire today.